The Alsace region, and Strasbourg particularly, borrows the best bits from its close neighbours the Germans, while still feeling very French. Here you'll find warming Christmas markets, cosy winstubs (pubs) and Bavarian-style timbered houses, but also a grand Gothic cathedral beloved by Victor Hugo, a quintessentially French canal and a medieval hospital with a wine cellar to rival that of a palace. The city is compact and most of the best places to stay in Strasbourg are close to all the major attractions. Strasbourg's Grande Île, the old town centre, is packed with so much unique Alsatian charm that it was the first city centre to be Heritage Listed by UNESCO - in its entirety. This is where you'll find the grand Cathedral, with its 142-metre tower, the highest cathedral tower in France. Inside is the Astrometric Clock, a 300 year old working marvel. The Grande Île is also where you'll find the Palais des Rohan, a beautiful palace now home to the Museum of Fine Arts and the Archaeological Museum, the Baroque Opera House and the Alsatian Museum. What's more, its squares and narrow streets are pleasantly lined with cafes, bars and restaurants. Just south of the Grande Île, between the two rivers, is La Petite France, and this is another particularly photogenic part of town, packed with half-timbered gems on narrow streets. These treasures are partly why Strasbourg appeals to so many travellers, so if you visit in summer, or during any of the festivals - and Strasbourg hosts a lot of festivals, be prepared for the day-tripping crowds. Strasbourg is at its most beautiful in the morning and in lantern-lit-evenings, so you'll be pleased if you do stay for more than just the day. Of course modern Strasbourg is probably most famous for the role it plays within the EU, as the shared seat of the European Parliament, and home of the European Court of Human Rights as well as the Council of Europe. This might make it sound like a dry destination for visitors, but it's meant this city has received generous investment. And this, plus Strasbourg's vibrant student life, actually makes it feel younger - more lively, more relevant - rather than just being a pretty blend of the best of French and German tastes and flavours! The 13th-century Cathedrale Notre Dame is a huge and impressive example of Gothic architecture. Taking 400 years to build and brimming with statues, glorious stained glass windows and an astronomical clock representing the four stages of life, it's a breathtaking spot. Walk the 300 steps up to the top of the bell tower and marvel at the stunning views. The Musee Historique de la Ville de Strasbourg is a wonderfully informative place to visit, elucidating every detail of the city's rich history. With audio guides in English and interactive exhibitions, it's a great way to spend the afternoon. Wander through the picturesque and historic La Petite France neighbourhood, filled with cobblestone streets, 16th-century buildings and lovely restaurants. Enjoy a picnic in the Parc de L'Orangerie - complete with a boating lake, waterfall and even a small zoo that the kids will enjoy. But don't forget that this city is a busy year round destination for leisure and business travellers. So if you want to ensure a room in one of the best places to stay in Strasbourg, don't leave it till the last minute, you may well be disappointed! The Regent Petite France actually sits on top of the river, which flows underneath it. As well as creating excellent, and unique views, this hotel is also very popular for their state-of-the-art spa. 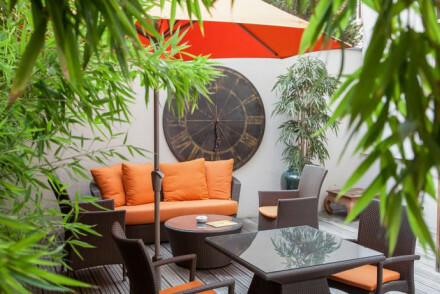 Hotel D boasts spacious contemporary accommodation bang in the centre of Strasbourg. With a gym and a sauna as well, this is a great base from which to explore the city. Hotel Villa d'Est offers chic, individually decorated rooms right around the corner from the city's sights. Come back to enjoy a drink in the cosy bar or treat yourself to a massage. Le Loft 13 is a luxurious B&B oozing charm. Their eclectic rooms offer lovely views of the city, and it boasts a fantastically central location. 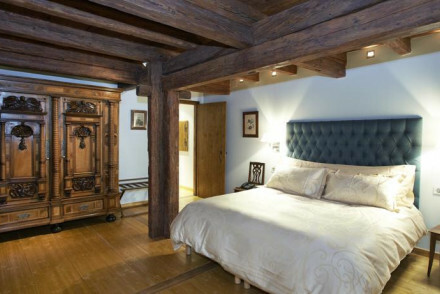 Situated just minutes from the main sights in the La Petite France district, Le Bouclier D'Or is a dreamy stay - with chic rooms featuring antique furnishings and exposed wooden beams. Unwind in the spa after a day out exploring. The Cour du Corbeau occupies a beautiful Louis XV building, but it's just a facade, the interiors are contemporary, yet classic, and all about unfussy comfort. Hotel Les Haras expertly combines old with new, set in an 18th-century heritage building and boasting sleek, minimalist contemporary accommodation. Plus, there's an excellent brasserie and it's wonderfully centrally located. Du Cote De Chez Anne is a wonderfully charming spot, set in a traditional Alsatian building but providing chic boutique rooms with original wooden beams. Enjoy delicious regional cuisine in the restaurant. Foodies might prefer Michelin recommended Chut Hotel Restaurant, which also has rooms and a lovely sitting room and stone courtyard. Great for a gourmet stop-over. 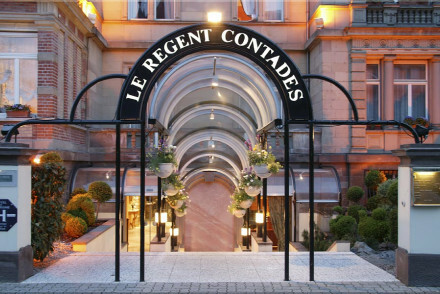 Book a room at the Regent Contades for excellent value. They have four star facilities yet rooms start from only €99 per night. Hotel Hannong is superbly located in the city's centre, offering lovely rooms from just €86 per night. Come back after a day out sightseeing to relax on the rooftop terrace and enjoy a tipple. If you've decided that a self-catering option would best suit your needs then browse through the wide variety available online with our partner, Booking.com. Strasbourg's weather is at its best in the summer months, with the average temperature climbing to 20°C in August. This however is peak season so accommodation will be pricer at this time. Those wanting to experience the Christmas markets will obviously need to book in November or December. If you want to avoid the crowds of fellow tourists but still enjoy the weather then perhaps visiting in May or September are good bets. Accommodation will be cheaper and with the average temperature around 16°C, it's still perfectly pleasant. International visitors can fly into Strasbourg Airport. Ryanair offer direct flights from Stansted, taking around 1hr 30 minutes. From the airport, hop on a train to the city centre which gets you there within 10 minutes. 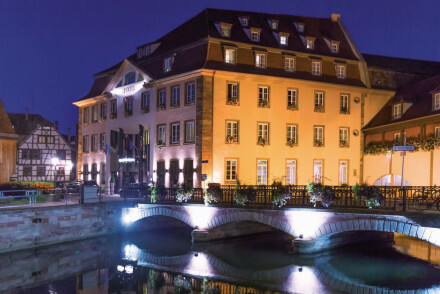 Browse though our list of all the best places to stay in Strasbourg. Widen the net to include our recommendations of all the best places to stay in Alsace. Contemporary hotel in historic city centre. Gorgeous rooms have hardwood floors, muted colour palettes and big bathrooms. Rooftop terrace and bar to enjoy an evening drink. Great breakfast and very good service. Stylish base to explore the city. An Art Nouveau townhouse with lots of character. Contemporary classic rooms and suites with all the mod cons and sophisticated furnishings. Close to the river and all the attractions. A great spot for foodies to explore the restaurants around. A Michelin recommended restaurant with charming rooms. Fantastic gourmet cuisine, lovely rooms and suites. Stone courtyard and sitting room. A great spot for a gourmet stop over. Foodies - Michelin recommeneded restaurant. A charming french property well located in the heart of Strasbourg. Individually styled rooms feature pretty fabrics, elegant furniture and floor to ceiling windows. Sample regional beverages in the cosy fire-lit bar. After a day treading the streets unwind over a massage or in the sauna. Chic. Local exploring - Located just a few minutes from the centre of Strasbourg, placing most of the attractions within walking distance. Sailing - Set out on a river boat tour and discover the discover the Vauban fortifications and historic bridges. Great walks - Amble around the pedestrianised UNESCO heritage sight city centre. Local markets - The famed Christmas market is not to be missed during December. 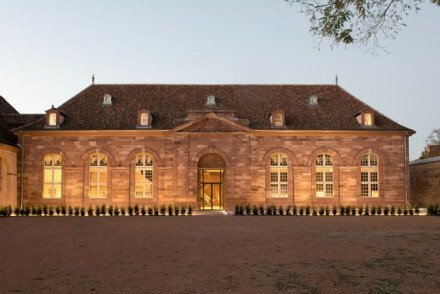 A glorious 18th century heritage building, in the heart of Strasbourg. The contemporary rooms are sleek and minimalist, with many still showcasing the buildings original wooden beaming. Central location and excellent conference facilities make it great for business meetings. City Style - A chic hotel that perfectly marries old and new with a excellent brasserie by chef Marc Haeberlin. Local exploring - Set in the heart of the picturesque Petit France, it's perfect for exploring Strasbourg. Sights nearby - Within the 'Petite France' and ten minutes walk from Strasbourg Cathedral. Local markets - In the winter, explore Strasbourg's famous christmas markets. 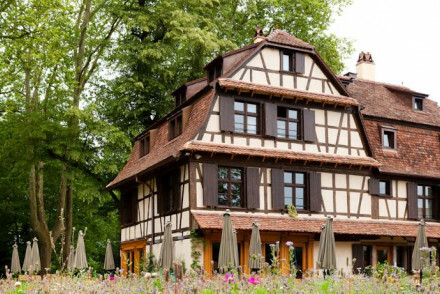 Awash with Alsatian charm, Du Cote de Chez Anne is a delightful hotel on the outskirts of Strasbourg. The cosy, boutique rooms are individually decorated and reflect the rich hunting culture of Alsace. After a day of exploring the city, sample delicious regional cuisine in the hotel's restaurant. 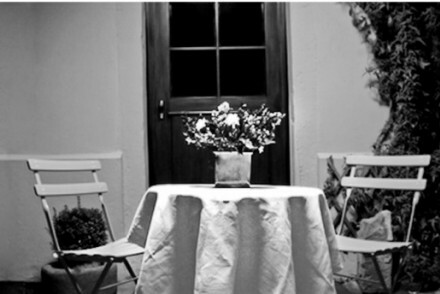 Country Escape - A secluded and intimate romantic country retreat with a spectacular market fresh restaurant and a lovely garden. Local exploring - The perfect launchpad for exploring both Strasbourg and the surrounding Alsatian countryside. Sights nearby - Only two miles away from Strasbourg city centre, make day trips to explore Alsace's capital. Great walks - Make the most of the beautiful walking in the surrounding parkland. A luxurious B&B in the centre of Strasbourg. 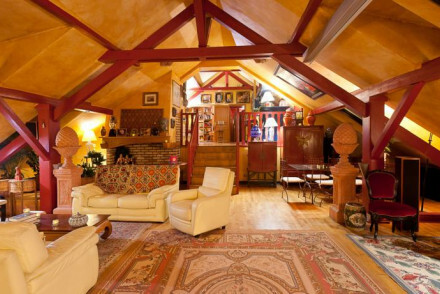 Set in a 8th floor loft, this guesthouse is home to five bedrooms with two shared bathrooms. The unique and eclectic rooms afford great views out over the rooftops of the city. A great launchpad for a weekend in Alsace's capital. 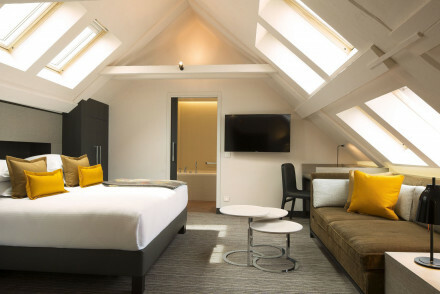 City Style - An uber chic choice in central Strasbourg, with a leafy roofterrace, spacious suites and knockout views. Local markets - Winter visitors will love browsing Strasbourg's famous christmas markets. Sights nearby - Strasbourg Cathedral is just a ten minute walk away. Fantastic hotel on the river with a state of the art spa. Rooms and suites in classic contemporary style and all the mod cons. Excellent cuisine and a large choice of champagne, extensive pampering, and wonderful riverside surroundings. For the luxury traveller. 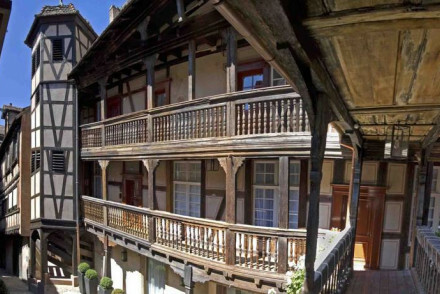 This glorious hotel is situated in the historic La Petite France district of Strasbourg. Rooms are notably antique chic with beautiful individually selected furniture and its spa is perfect for a relaxing detox. Beautifully positioned to explore the rich culture of the Alsatian capital. Local exploring - An ideal location for a weekend in Strasbourg, within walking distance of the main sights of the Old Town. Total relaxation - Relax and unwind after a day exploring the city in the wine bar or spa. 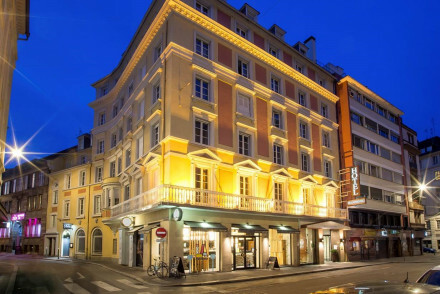 Sights nearby - The hotel is located in the historic 'Petite France' district of Strasbourg. Local markets - In the winter, explore the famous Alsatian christmas markets. A Louis XV style building with contemporary classic interiors and a charming tea salon. Beautiful light and airy bedrooms have all the mod cons and a romantic charm. A lively bar makes this a very cool spot.